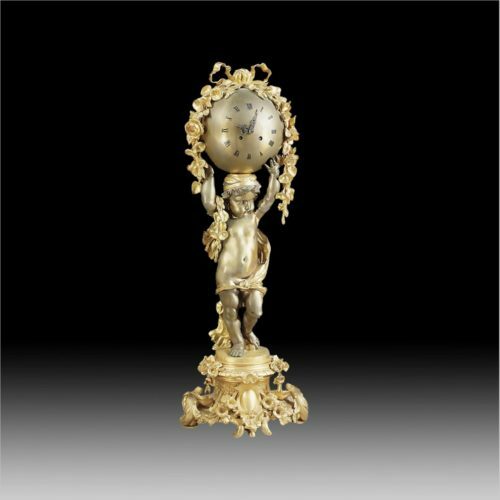 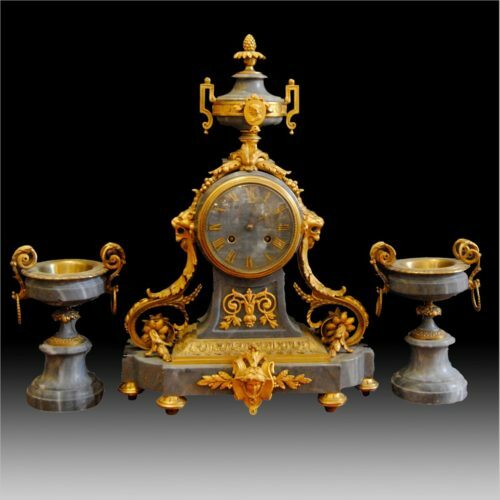 A French Gilt-Bronze Clock Garniture. 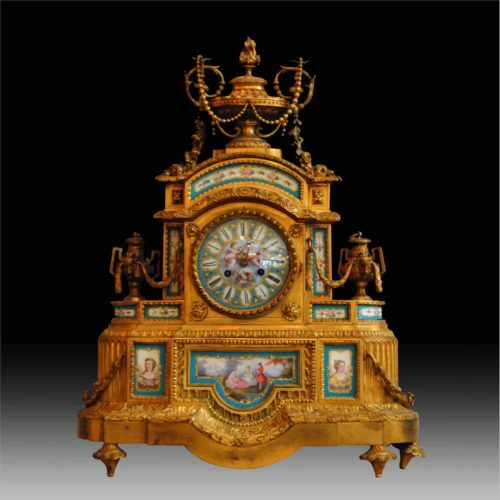 By Cotlin, Paris, Circa 1880. 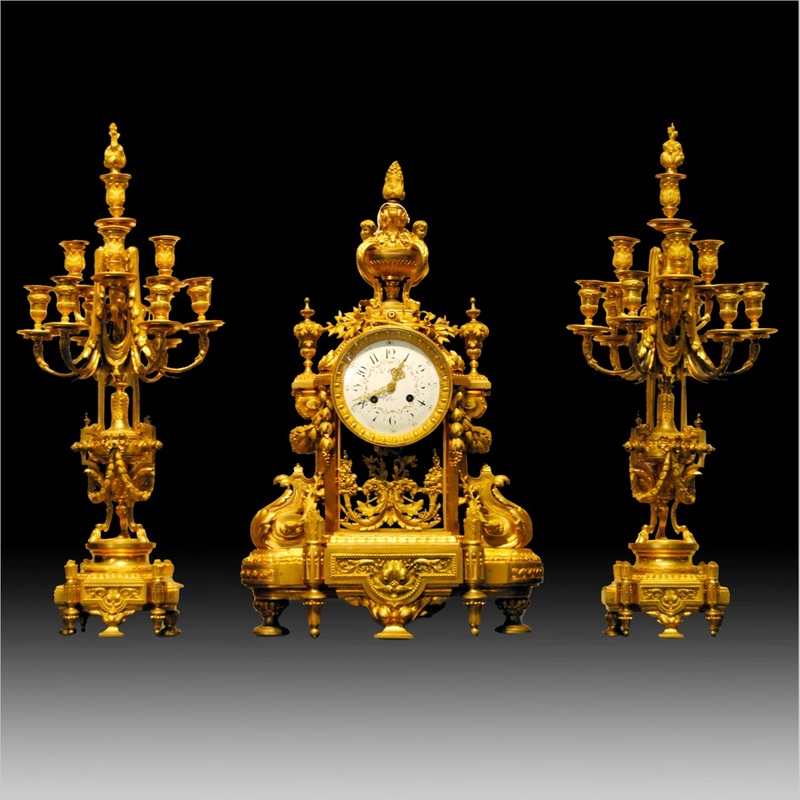 Comprising a mantel clock and a pair of ten-light candelabra; the clock surmounted by an urn with four monopodiae feet, the circular white enamel dial inscribed R. Cotlin Paris, the movement inscribed to the reverse RC and numbered 116, flanked to the sides by scrolling mounts, on acanthus feet; the candelabra en suite.